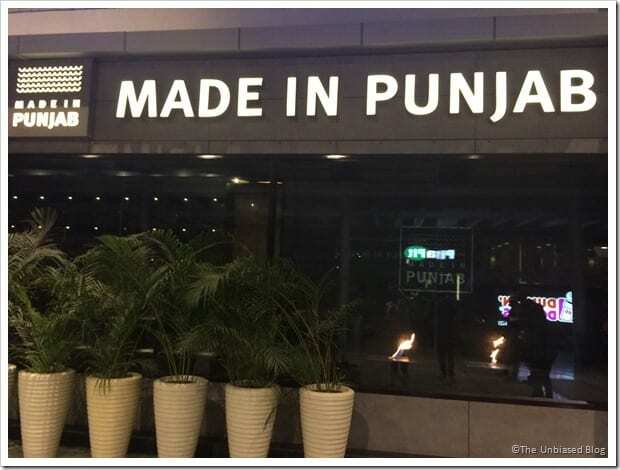 Recently, the Food Bloggers Association of India invited us to a Food bloggers meet at ‘Made In Punjab’ restaurant, which opened in October ’13 in the heart of Gurgaon, the Cyber Hub. 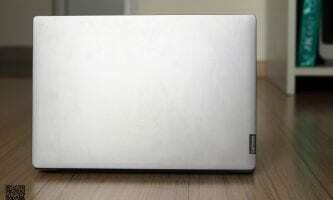 The restaurant is situated in the hustle bustle of Gurgaon’s corporate land. With so many offices around the Cyber City, the Cyber Hub is a relief and place for variety of world cuisines. Before, we talk about our rendezvous with ‘Made In Punjab’ we would like to throw some light about its history. 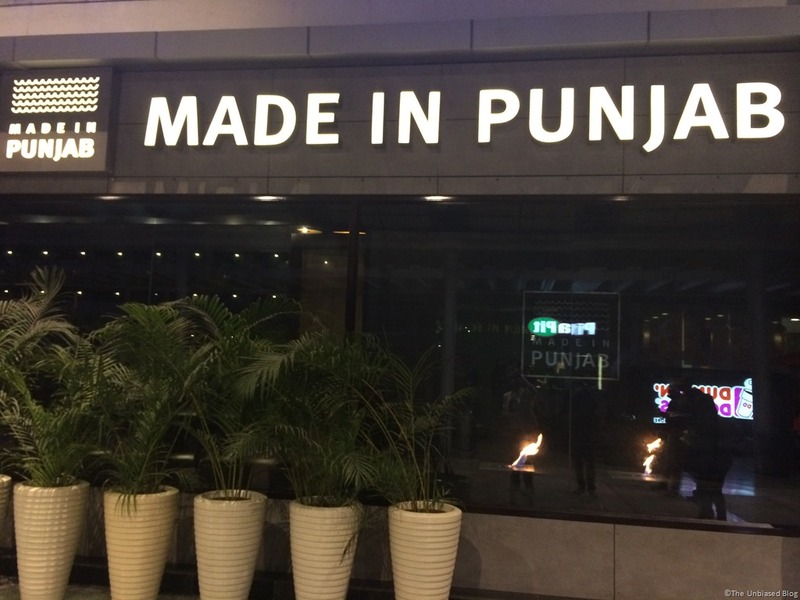 We all have been to the exquisite ‘Punjab Grill by Jiggs Kalra’, so would you not try his latest offering ‘Made in Punjab’ headed by his son Zorawar Kalra? We bet you would! The new spot couldn’t be any different; it has classy ambience with dim lights and different types of seating, the tables are spaced out so people don’t feel crowded. There’s an open-plan kitchen, a bar, a chat counter and a private dining room. The staff welcomed us cheerfully and made us feel right at home. The service here was top-notch. The wait staff is extremely attentive, polite, and knowledgeable. Too be honest, it could be because we were special guests and the owner was there too. So unless and until we give them a surprise visit we cannot be certain but it ought to be good. The buffet was laid in a different section but as we seated we were served, Papdi Chat & Bhel Puri on the table. There was a blend of crispy and creamy textures and warm spices in it. Instantly our order for the drinks came and my wine glass has never been empty in this place. The menu at Made In Punjab comprises of food from the Sikh kingdom, reviving some of the lost recipes, in all its glory. The preceding menu had a huge variety of Punjabi appetizers out of which the best were. Ahh! It’s too hard to pick my favourite ones as the lineup of starters was simply delectable. But If had to pick it up for being simply out of the box then I’ll say ‘Beetroot Tikki’. Yes! you read it right, since 1800’s the only use of beetroot was in salad I guess, but the chef surprised us all with his culinary skills. Next would be the ‘Sarson ka Saag on Makke ki Roti’ but here’s a catch too, it was served on Makki ki Roti that was not more than penny sized. We can go on talking about the gluttonous food we had but we want you to go pick up the phone, and a book a table(0124 4949605, +91 8130911899) at ‘Made in Punjab‘ and experience it.